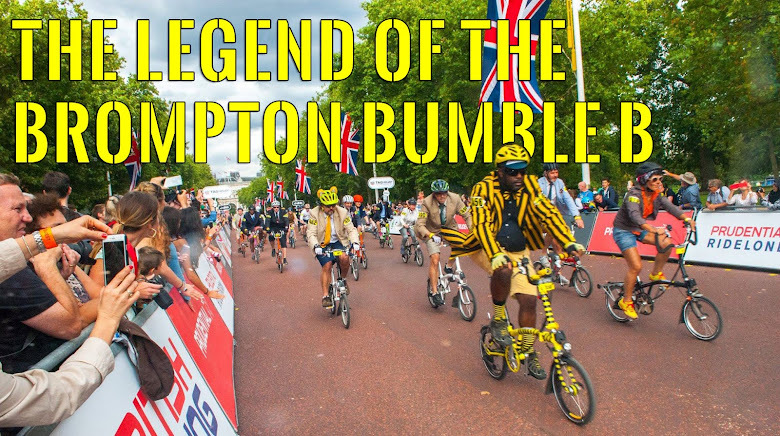 The Legend of the Brompton Bumble B: Guess who's back home? Finally my boy is back home at the HiVE. His been away far too long and I've truly missed the little guy. 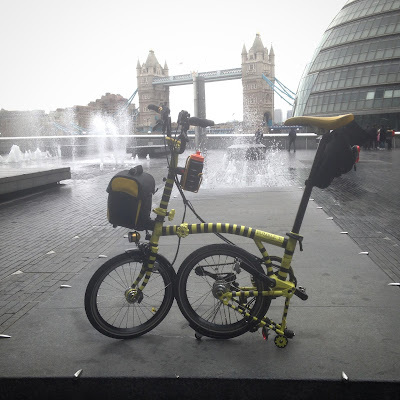 The troublesome top tube hinge is still stiff even though its been changed twice. From what the surgeon (Mechanic Marco) says that the hinge may have slightly bent a little so the pin doesn't just drop though the hole like it should so making it a little stiff to fold. 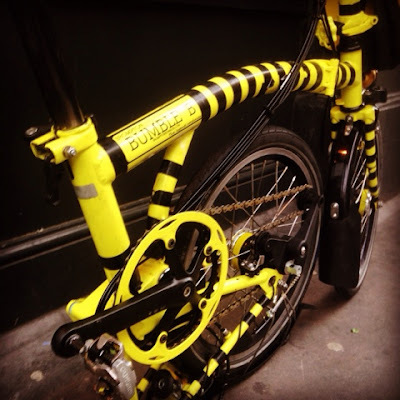 He will be getting a better explanation of whats happened from the high IQ folks at Brompton HQ in the next day or so. Other than that BBB is pretty much completely overhauled and riding like new. Brompton Junction even gave him a really good clean too which was a nice little surprise. I haven't been looking after and cleaning him as much as I should do the last year or so. Because BBB is so clean I can see there are a few areas of paint that have come off so Brompton Junction gave me a fresh batch of touch up paint to sort that out when we have the time.